Microsoft Windows Vista Media Center is the latest and most powerful version of the Media Center technology from Microsoft. It is designed to exist as the heart of the modern home entertainment; with its primary purpose to orchestrate all elements of the home entertainment system: digital television viewing, programme recording and playback, digital photograph editing and viewing, DVD and all manner of digital music playback and recording. Media Center is no longer a separate product; it's built into both Windows Vista Premium and Vista Ultimate, enabling all homes with a PC to enjoy the features of Media Center. 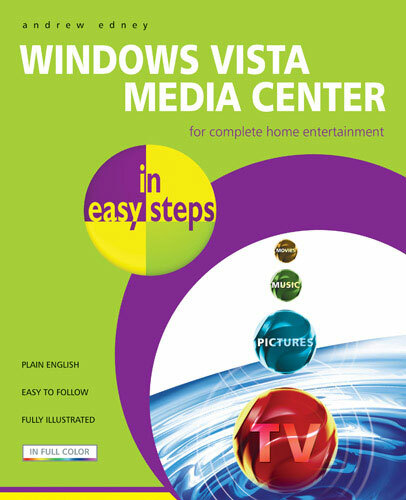 Windows Vista Media Center in easy steps will guide you through the process of upgrading your existing Media Center 2005 system or installing Media Center for the first time, advising you what specific hardware options you will need. It will also explain all of the configuration options within Media Center. It'll even walk you through each of the Media Center menu options, providing hint, tips and warnings, so that you know exactly what it is capable of and how to get the most out of it. 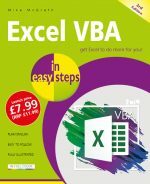 All in easy steps!